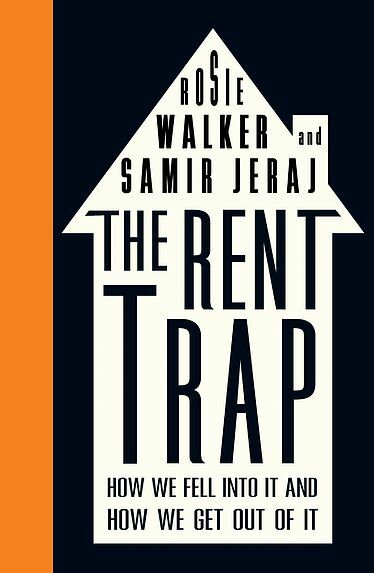 The Rent Trap explores the world of private renting and how rising house prices make home ownership out of reach for many renters. It looks at the instability caused by short term contracts and the impact on families. The book covers the de-regulation of the housing market and what that means for tenants. Most landlords aren’t property developers. Most are individuals who’ve bought a second house as an investment for their retirements, or owner-occupiers renting a room to help with the mortgage payments. But what this means is that the people paying for the house aren’t the ones who’ll eventually own it and this is creating wide inequality. It’s interesting to see how individual small decisions, made for good reasons, create a huge problem in the absence of regulation. Why do you choose books? 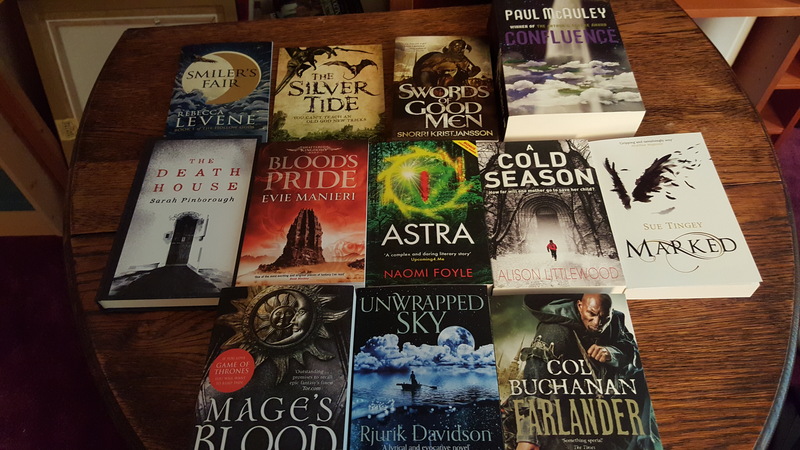 At FantasyCon 2015 one the panels discussed why people choose a book out of the thousands available to them. 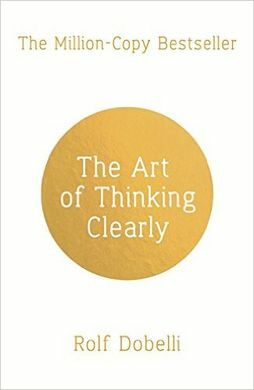 Some people go for covers, some like a good blurb, a few will read the first page. Me, I love a great title. 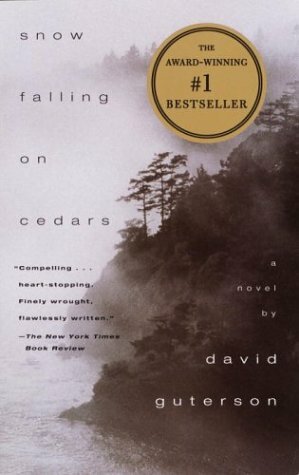 Snow Falling on Cedars by David Guterson is the story of a murder trial and all the social and cultural factors that lead to a false accusation. It is set on an island off the coast of Washington State in the US where the main industries are timber, soft fruits and fish. The island has a small population with a minority of Japanese inhabitants who were all interned during the war. Guterson switches between the murder trial in the present of the book, which is the early fifties, and the past of the events that link the deceased and the accused together. These events span thirty or forty years and include land deals gone sour, racism, unrequited teen love, war trauma, lazy detective work and some really bad luck. The switches are handled effortlessly and sometimes happen within a paragraph. 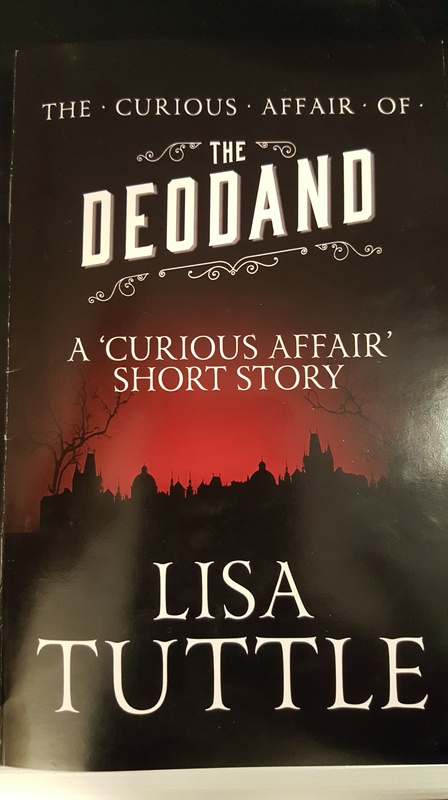 Much of the book is spent in the past and on the love story between the Japanese wife of the accused and her childhood friend, the son of the white newspaper owner. This is a dense and long book. Guterson creates a lushly detailed picture of the island and what life on it was like. I saw the film a few years ago and enjoyed it. I had a suspicion that there might be more to the book and there is. The author touches on some big themes and handles them delicately. The final reveal of what really happened to the deceased shows how all those other things led the Sheriff, the coroner and the Judge to jump to conclusions and stop looking for evidence. It was slow going but for the most part absorbing, beautifully written and thoughtful.